Since last summer Apple was informing developers of the incompatibility of 32-bit applications for iOS 11, the mobile operating system that was presented in the keynote of September 12 and made available to users a week later . There were many who should have hurried to update their apps, which were not possible to be launched on any iPhone or iPad if they were not updated. And logically, the big swords did not have problems, although some of some minority developer stayed in limbo. Now it's the turn of MacOS, it's an operating system used by Apple computers, because from tomorrow they will not run this type of 32-bit programs on them. The company wants computers to be able to take full advantage of the performance that working with this system provides. Maybe, even if you own a Mac, you have received a warning in which you are informed of the incompatibility of this type of apps . Although if you want to leave doubts, it is best to follow our steps to check if you have any 32-bit application on your device. In the Apple Menu, click on the apple icon. Click on About this Mac . Go to System Report , a menu will open. On the left side go down to Applications , which is inside software, and you will see a window with everything you have on the Mac, scroll sideways and you will find an item that is 64 bits , then you just have to check this. 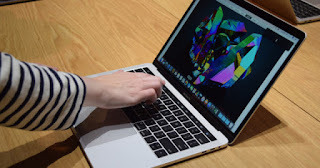 The best thing is that you have your Mac updated to the latest version, the 32 bits are going to stop being supported by Apple, so it is best to take appropriate precautions .